The Memphis is a mixed-use project containing 16 residential units, retail space and structured parking in a developing neighborhood near downtown San Diego. The sloping corner site fronts a commercial boulevard on one side and a residential street on the other. 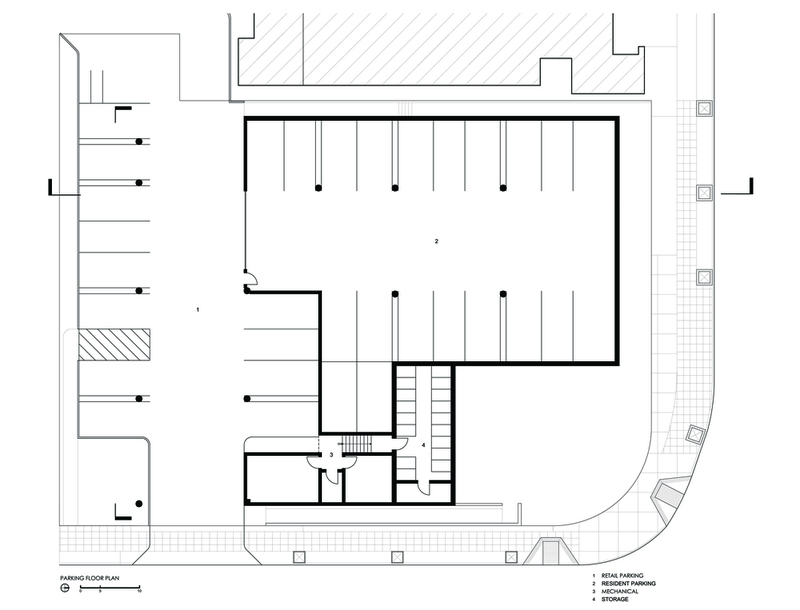 The design balances the interface of public, private and vehicular space, placing retail toward the boulevard, parking below the building, residential elevated over retail and parking and residential entrances off of landscaped courtyards. The form responds to site edges with a, 3-story volume facing the boulevard and a 2-story volume addressing the side street. These forms are connected by a linear metal screen. Residential units are organized with living spaces and adjacent balconies addressing the streets. Three story boulevard units have roof decks which are adjacent to master suites, and oriented toward distant bay views.